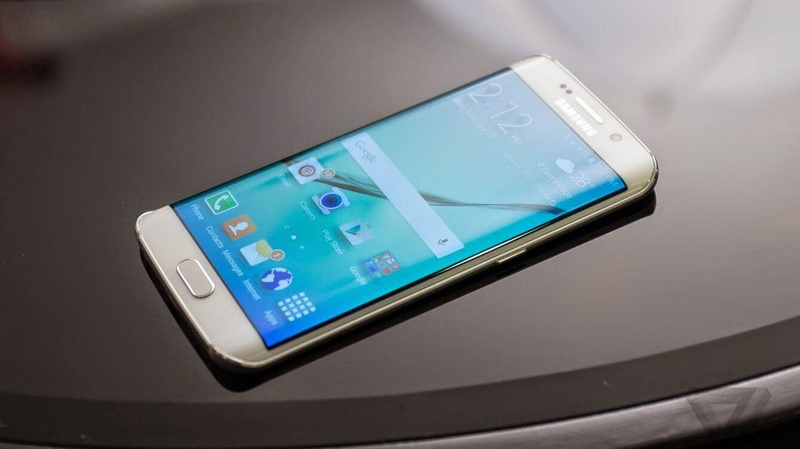 If the Global Mobile Awards 2015, will have an opportunity to reward the best smartphones of 2014, the voting ended in November, the election of the "best phone, tablet or device" to reward the new products announced at the show and this year Samsung is who wins this award with its curved smartphone. Last year, the company had already received the same distinction with the bracelet connected Gear Fit. Admittedly, the Korean manufacturer has been working hard to satisfy us with not one but two new high-end coming to inaugurate a new design combining two premium materials. Found as metal and a protective glass Gorilla Glass 4, the front and rear of the two telephones. Apart from design, the Galaxy S6 and S6 Edge offer a data sheet is not more upscale and equip themselves with the latest technologies available on the market. The Exynos 7420 processor engraved in 14 nanometers, comes with 3GB of Ram LPDDR4 and both phones offers flash memory modules UFS 2.0 high-speed, in 32, 64 and 128 GB. The picture part is not left out either because the two sensors 16 and 5 megapixels are f / 1.9. Otherwise said, they are theoretically capable of offering unmatched performance in low light.